If you had a second chance at life...what would you change? For Veronika, confronting death...is discovering life. 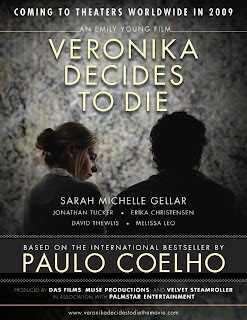 Veronika Decides to Die, another novel of the Brazilian best-selling author, Paulo Coelho, would be in movie screen. The shooting started in May, 2008 in New York, instead of Ljubliana, Slovenia like it was written in the original book. The film is directed by Emily Young. Sarah Michelle Gellar plays as Veronika, after Kate Bosworth was reported before that she got the role. 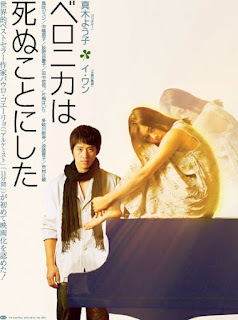 Before the US version makes the movie, in Japan there was already a movie called, Veronica Wa Shinu Koto Ni Shita, released in 2005. The story is based on the book, make the issue of normality, majority and the reason to live up to the surface. When a death comes, could the reason to live come?